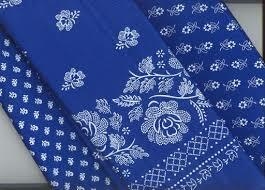 Dyed fabrics have been part of civilization for thousands of years. Indigo or blue print arrived in Europe from India and the Far East and became very fashionable in the French courts in the 17th century in the form of textiles and clothes. 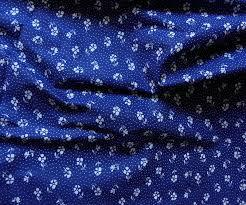 Initially, a number of European countries tried to ban the import of indigo print as their popularity threatened the domestic textile industry. In addition, the Catholic Church tried to label it as the ‘Devil’s work’ as acid was used in the dyeing process, often to disastrous results. Regardless, the popularity of the print persevered and became more acceptable as the process of dyeing became less dangerous as a local plant in France and Germany (Isortistunctoria L) could replace indigo. 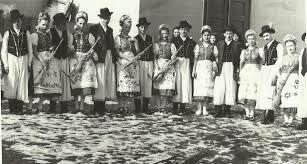 The print became especially popular with rural farmers in Austria, Slovakia, the Czech Republic, and Hungary and provided the basis for many regional folk costumes in these areas. In Hungary, guilds were established in the 17th-18th centuries in mostly German speaking areas. 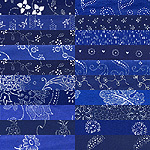 The nobility and wealthy were keen to establish its own indigo print guilds and at the turn of the 19th century, more than 100 workshops operated around the country, each with its own closely guarded technology and patterns. The rise of the Industrial Revolution in the 19th century, World War I & II, exodus from the country to the cities, were contributing factors to the closure of most workshops. Many patterns and processes were lost during this time. Today, the revival of traditional methods in all areas of folklore has seen the resurgence of eight workshops across Hungary. Using traditional as well as modern pieces, these workshops are keeping alive the art of blue print in Hungary. You can see many pieces at the Museum of Blue Print in Papa – Kékfestő Múyeum – http://www.kekfestomuzeum.hu (Hungarian only). 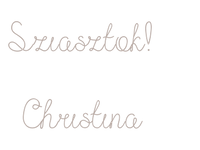 Workshops are based in Szentendre, Tolna, Gyor, Papa, Nagynyarad, Tiszakecske, Dunafoldvar, For a taste closer to home (UK), click on Gilly Thomson’s http://www.kekfestocotton.co.uk. Gilly is creating some beautiful pieces with fabric from these workshops and travels across the UK to showcase her work. 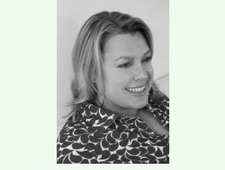 I have used information from Gilly’s website for these articles. 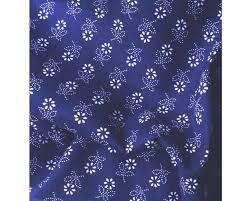 I’ll be featuring some great blue indigo textiles including napkins and runners in my on-line shop from June. Watch this space! 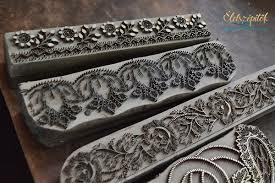 Next blog: the fabric and how it is produced.